And this time I want to share something nice whit you. And this time I received a wonderful package of my favorite online store. 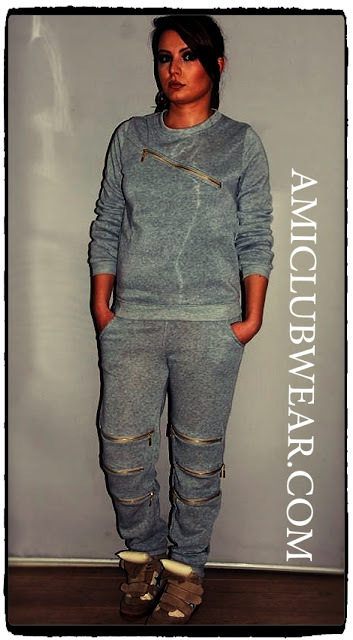 And this is, of course Amiclubwear.com. This time, I have decided for tracksuits and leggings. Gray tracksuits with zippers as decoration, are of high quality and very modern design. And they are very comfortable to wear. Black leggings are perfect for everyday outfit and for some elegant variants. They are also very comfortable to wear, just do not feel. Thanks Amiclubwear.com for wonderful cooperation and beautiful packages!